Travis and Annette Wells were always going to have a family, they just didn’t know how. When Travis was young, he struggled with leukemia. After an eight year battle, he beat the disease, but it left him unable to have children. The couple adopted their first son from Guatemala shortly before the country closed its adoption process. Travis and Annette knew they still wanted more children, so they started looking at their options. 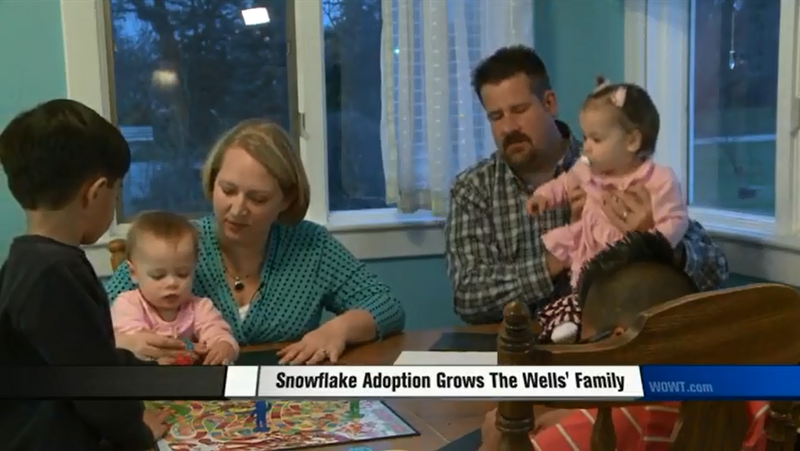 They discovered embryo adoption, and now they’re a happy, busy family of 6.